I intended the Bible lesson on faithful stewardship for four-year-olds at Oak Hills Church. But this seven-decades-old teacher learned a thing or two, as my mother would have said. 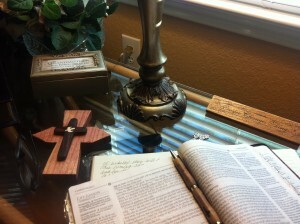 Mark 12:41-44 tells the story of a poor widow giving her last two pennies. In the vernacular of my growing-up days, the woman gave her last red cent. 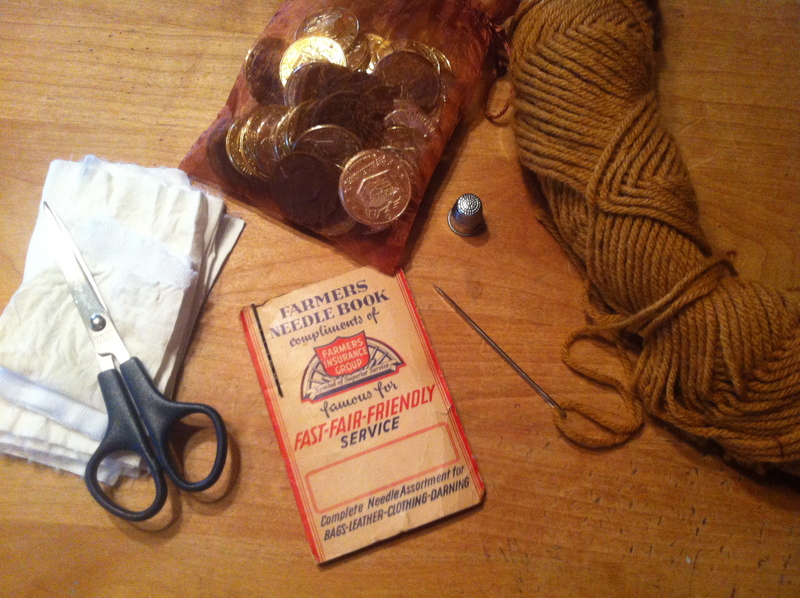 In search of supplies for creating money bags for my students, I browsed through drawers of old sewing materials, some from my 55-year sewing past and some from my mother’s that extended 75 years back. I found a pattern not for the money bags … but for stewardship. Much like Betsy in The Calling of Ella McFarland, Mother believed negligence in caring for what hard-earned funds had purchased ranked somewhere close to the unforgivable sin. She took care of what she had and kept on hand everything that could be used again. Trash was trash, but still-usable items were not. She did not buy new if old would do as well. Mother’s philosophy returned as I rifled through a drawer she would label a mess but I call easy going. Amid a jumbled array of my recent purchases–vinyl zippers, hem tapes, piping, seam binding, needles, and buttons–still in their wrappers, I found her old button tin, originally a container for Singer parts, that sported dents and rust and wear. Inside the tin were buttons from the 1930s, 1940s, 1950s, 1960s, and 1970s. All showed signs of wear. She had removed them from clothing that had served its purpose. But the buttons were still usable, so into the tin they went. I also found a faded and dented fruit cake tin Mother had saved from some Christmas past. Within the tin were metal zippers she had clipped from garments bound for the rag basket. Alongside Mother’s repurposed tins, sat a handy-dandy, snap-together, see-through, color-coded odds-and-ends contraption that I purchased on a whim. Inside my fancy container? Never-been-used, still-attached-to-the-cards, bright and shiny buttons galore. But not a single used button. Nor did I find in my drawer of disarray a single used zipper. I had tossed them out with perfectly usable clothing. I had never opened the new zippers, nor had I given more than a fleeting thought to the hard-earned funds with which I bought them. 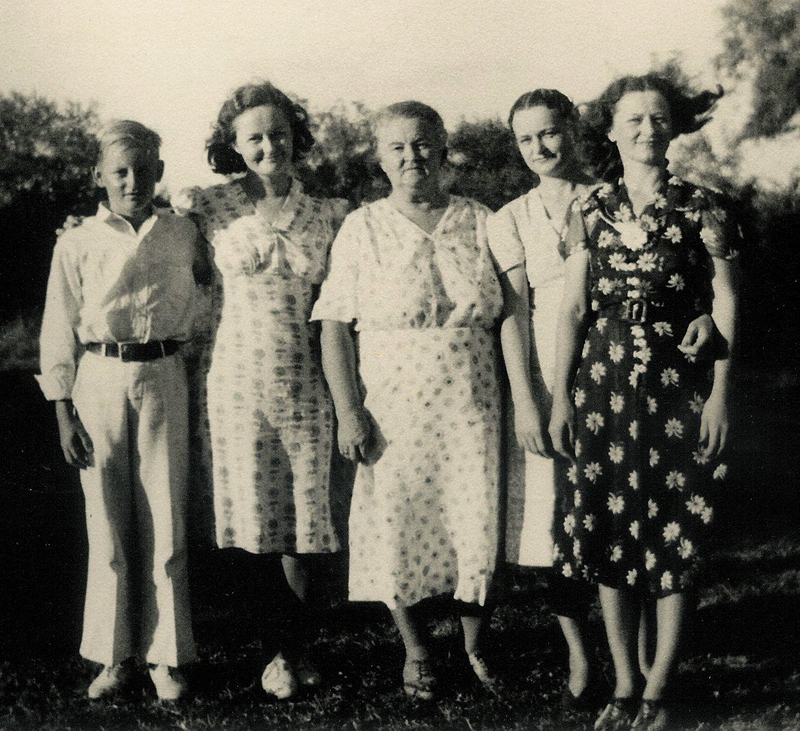 Although a widow for many years, Mother did not learn stewardship skills in her widowhood. She learned them in a cotton field in South Texas where her mother knew every handful of raw cotton meant another spoonful in her children’s mouths. 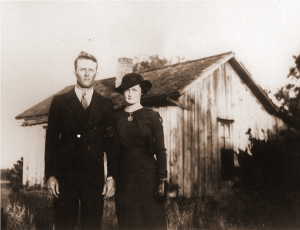 She learned them during the Great Depression when she and her mother lived in a corner of a barn they called home. Mother refined her skills as the wife of a farm hand who earned $5 a week but lived on $2.50 until the money he borrowed to buy their wedding clothing was paid back. In years to come, Mother never reached for her last red cent, but she came close a few times. Had she not learned stewardship alongside her mother, she would have found herself faced with the same dilemma as the widow in the Gospel of Mark. I’m neither a widow nor destitute. I give from my abundance. I have never been called to give my last mite, but as I gathered supplies for the Bible lesson, I wondered what I would do if I were. Would I, like that faithful widow of old, give my last red cent? Was the jumbled array in my sewing drawer a call to better stewardship? I completed preparations for the Bible class for four-year-olds with my spirit lifted. There on my kitchen table I had set out materials fit for the worthy steward who reared me: a skein of yarn from twenty years back; playtime coins from five years ago; a decade-old jewelry gift bag; scraps of fabric of indeterminate age; a four-decades-old thimble; and a 1940s packet of heavy-duty needles that came in handy when Mother patched canvas cotton sacks. Those four-year-olds took home more than plastic coins. They carried with them a bit of long-ago when times were simpler but harder and harder but more faith filled and, tucked into the recesses of their little drawstring bags, the prayer of their teacher: May they never know a time when they are down to their last red cent, Lord. But should that time come, may they hold their pennies in hands outstretched and open wide. For Jesus’ sake.